Credit has been hit hard and is one of the most affected assets during this last turmoil. We have been pointing out credit as one of the best leading risk indicators during this autumn. US main credit, CDX IG, has continued the massive move higher. 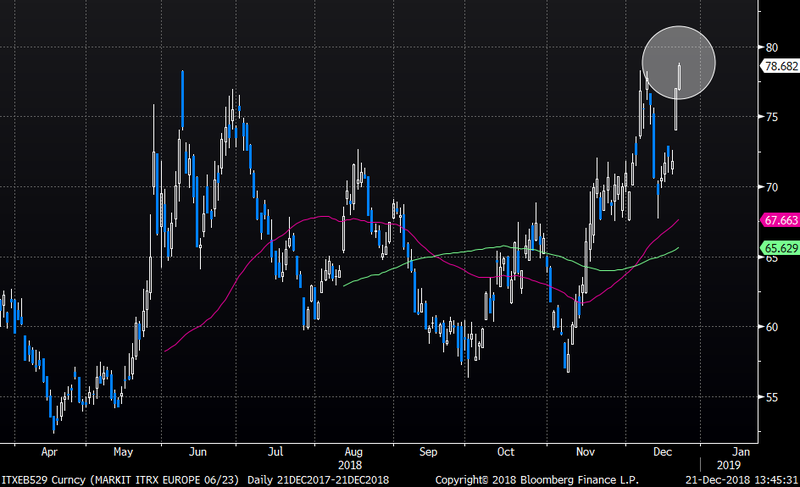 European credit, iTraxx main, climbed to new recent highs, although it tried a move lower earlier in December. “Our” Eurostoxx 50 futures (orange) versus iTraxx (white inverted) chart continues moving in tandem. 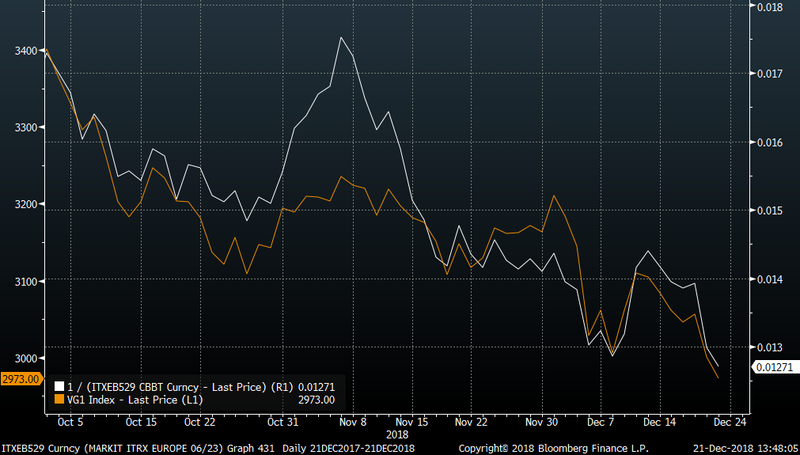 During this entire volatile bearish move lower in assets since early October, we have been waiting for proper capitulation. We have still not seen the big wash out hitting all assets in one day. The bear has been violent, but not brutal (yet). We continue to watch for extreme price action across assets, and possibly a capitulation sign. 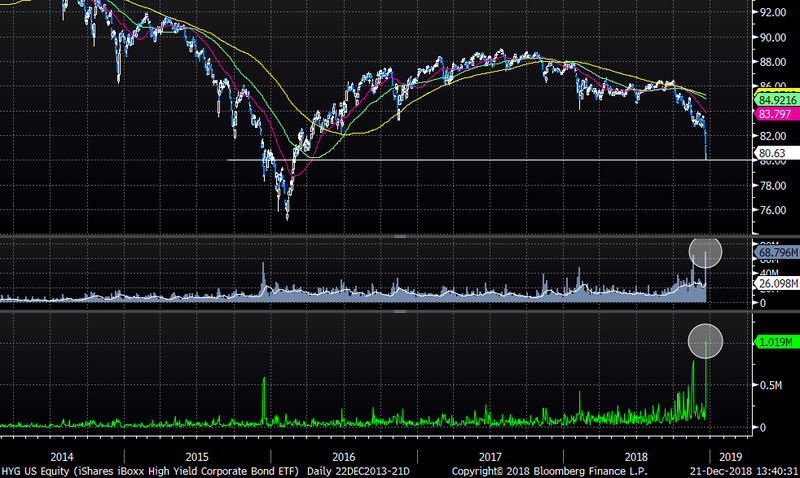 One interesting observation when it comes to extreme moves is what we saw in US High Yield ETF (HYG US) yesterday. Horrible price action with huge volume, but not only that. It was a day with highest total PUT volumes (green) for the HYG US ever. Is this one of the early capitulations we are getting?